Mothering Sunday has a religious origin, traditionally held on the fourth Sunday in lent, exactly three weeks before Easter Sunday. It was originally created to give thanks to the Virgin Mary (Mother Mary) when families were encouraged to visit their local church and give presents of thanks. By WWII Americans and Canadians started to change the traditions around this day as they felt it was crucial to also give thanks to their own mothers whilst they were away at war, since then its earned reputation as a highly celebrated event on the UK calendar. Discover my top five suggestions for last minute Mother’s Day gifts ideal for mums, step mums and grandparents…. Every year we give my mother a bouquet of spring flowers, most years I harness my creativity and make my own bouquet using her favourite orange roses, tulips and iris’s. Although this year I have ordered a bouquet from a local florist. The tradition of giving flowers for Mother’s Day is something that people have been doing for centuries as motherhood has always been synonymous with springtime with both represent life, fertility and beauty. You could ring a local florist (I recommend Scarlett Rose in Grayshott who produce stunning seasonal bouquets) or visit InterFlora online to order a Mother’s Day bouquet for your special lady. However, if you are worried about someone having to be in to receive the bouquet, I recommend letterbox friendly flowers. 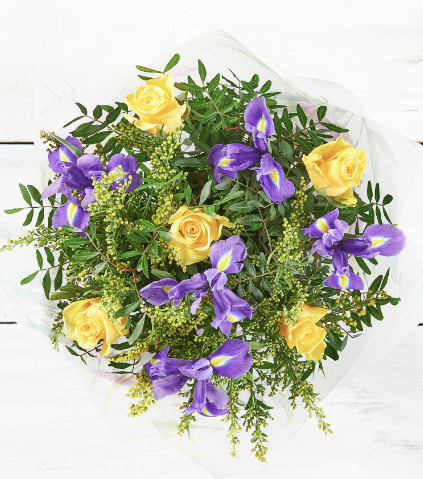 Flying flowers produce exceptionally beautiful bouquets that fit through the letterbox! This makes them a lovely surprise to come home to, you can even order specific selections of flowers to arrive un arranged so your loved one can style them to her own liking. Does your mother enjoy a specific alcoholic beverage? Give her a bottle of her favourite prosecco or gin or go one step further and give the gift of your time – a shared experience. There are plenty of vineyard tours or gin distilleries that you can purchase gift vouchers for, plus it’s a nice gift your mother won’t have been expecting. 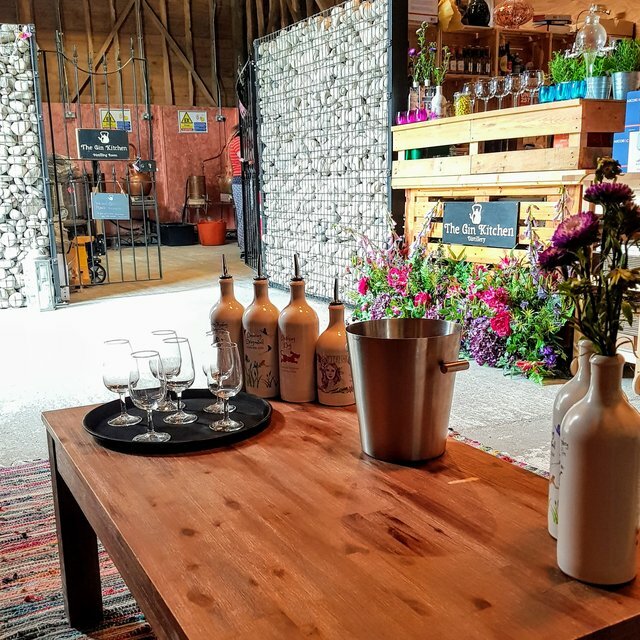 The Gin Kitchen in Dorking is one of my favourite gin experiences to date, book a tasting experience here and your mum can enjoy sampling the famous spirits before tucking into a G&T cocktail of her choice and learning about the production process. If you think she’d prefer a more hands on creative experience, the Gin Lounge run gin making experiences where you can sample and then produce your own gin to take home. Discover more alcoholic inspired Mother’s Day gifts with a twist here. Treat the sweet tooth lady in your life with an indulgent selection of fine artisan chocolate that she wouldn’t normally purchase for herself. A Mother’s Day gift of Hotel Chocolat Hbox at £12.95 I always think the ‘Hbox’ gift sets are a real steal considering the value! Filled with 14 chocolates ranging from champagne truffles to Eton Mess – if you are lucky, she might even share some with you! 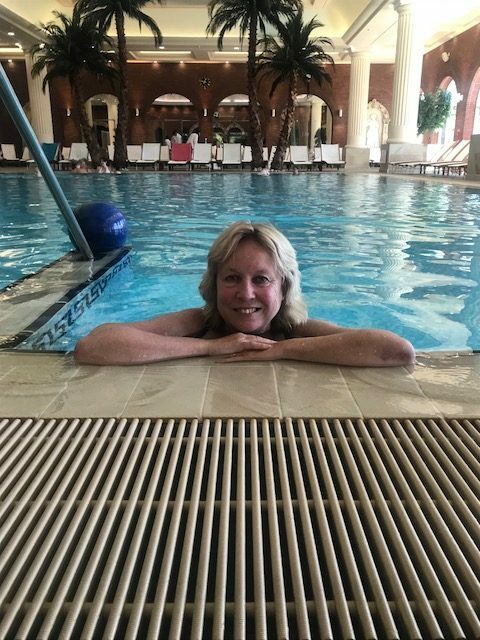 Every mother deserves to be pampered not just on Mother’s Day but throughout the year, book your mother a spa day at the best spa in the UK (in my opinion) – Nirvana Spa and you could even go along with her for some quality time together. With a stunning Mediterranean themed décor, Nirvana Spa offers a variety of areas and treatments guaranteed to put a smile on her face. She can lie back and relax with the glittering canopy of stars above her in the colosseum suite or soothe her aching muscles in the jet pool and heated loungers. Going above and beyond to make every visit special, Nirvana Spa will even help organise flowers or chocolates to be given to your special lady during her visit. Everyone loves a scented candle, don’t they? The White Company offer a wonderful selection of seasonal themed candles that are stylish and of exceptional quality. My favourite scents are Lime & Bay and the Seychelles, but there is a wide range to choose from- so plenty of options to make a fantastic gift for your loved one. After all the chocolates will be eaten, the flowers will wilt and the alcohol quickly devoured, so perhaps you are keen to find a last-minute Mother’s Day gift that holds longer sentimental value for your special lady. Snapfish allow you to upload your photos directly via the app or desktop site, here you can choose between a variety of gifts including personalised mugs, phone cases and even cushions! Choose a selection of images and create a Mother’s Day gift that is not only unique but will be cherished forever. One of my favourite kind of presents to give is a hamper as it gives you the chance to thoughtfully put together all the things your loved one loves most. You can order pre-made ones from Prestige Hampers or put together one yourself using a variety of the Mother’s Day gifts suggested above. 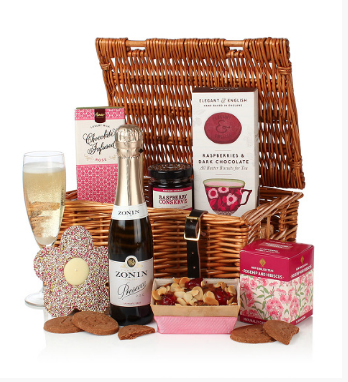 Top Tip: Set a theme for your hamper before you start, either opt for a foodie-based hamper and fill it with her favourite biscuits, cheese and alcohol or decide upon a wellbeing hamper with beauty products and at home spa essentials. If you would like some further advice on creating a hamper please do drop me an email at ellegoesglobal5@gmail.com I would be delighted to help you create a list of hamper essentials. Which do you think you’ll give your mother as a Mother’s Day gift this year? Let me know in the comments below.